This is Titus, the Italian greyhound. He is a great little dog, I had an IG once myself so I really enjoy him but it is sooooo hard to get a good pic of him because he just never slows down or stops long enough. Very energetic doggie and can he race around the yard!! 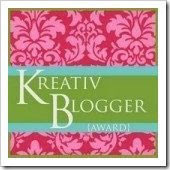 Arte y Pico Blog Award Winner! I live in a small town near Mt Rainier in Washington state. I have four dogs, three chihuahuas and one miniature pinsher. They make me happy and make me laugh. 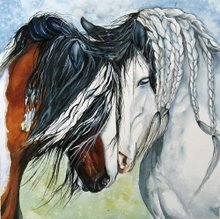 Animals have always been my world and my art work reflects that love.